Looking for a Root Canal Dentist in Towson? We can help! Most people experience tooth decay at some point in their life. Left untreated, this common occurrence can become a serious issue. Luckily, even advanced stages of decay can be treated comfortably with a root canal. At Towson Smile Care, we specialize in minimally-invasive root canal treatments that eliminate decay and make you feel great about your smile. Our endodontic treatments are high-tech and effective, delivering a modern and comfortable experience. No matter the last time you went to the dentist, you won’t believe how far dentistry has come! 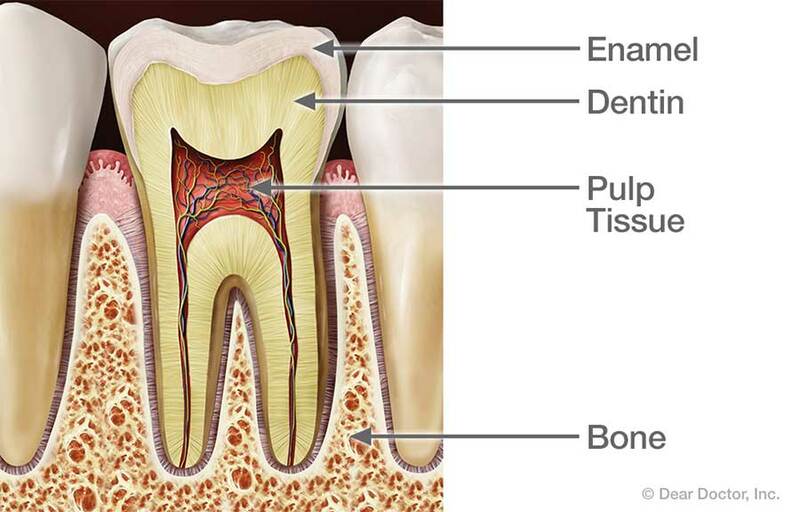 Root canals work by removing infected tooth “pulp” from a decaying tooth. The tooth canal is then cleaned and sealed. FInally, the tooth is fitted with a durable porcelain crown to ensure a stable and healthy tooth for years to come. Are your teeth experiencing any of the following symptoms? • Sensitivity to hot and cold temperatures? • Chips, cracks or fractures? At Towson Smile Care, our approach to dentistry is focused on providing custom and high-tech care for your entire family. Patients always come first and our team is dedicated to meeting your individual needs. We’re proud to offer the most advanced general dentistry services in Towson. Patients love our welcoming and judgment-free office, experienced staff, and high-tech treatments. Suffer from dental anxiety? Let us know! We’ll make sure you’re comfortable and relaxed throughout your entire appointment. Fight Decay with Root Canal Treatment.